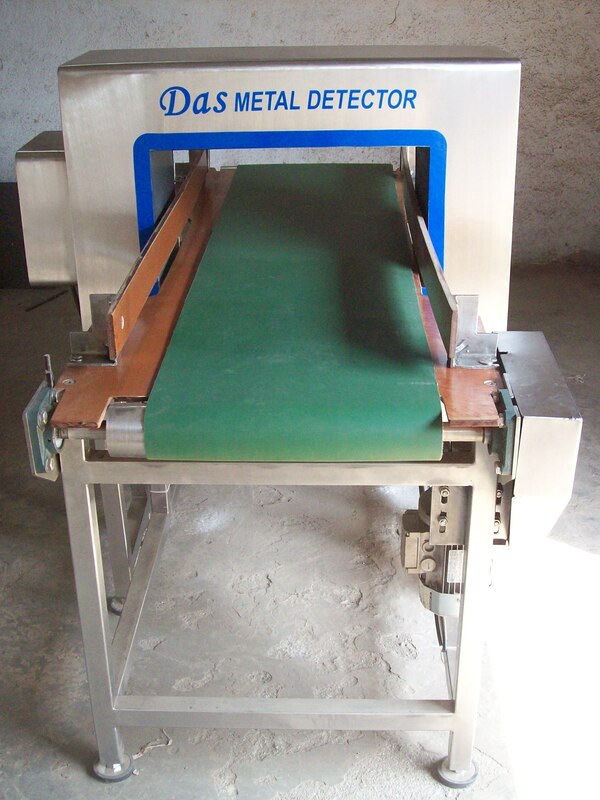 Features Of Conveyor Metal Detector : Customised (tailor Made) Aperture Sizes Are Available. Very High Sensitivity. According To Haccp, Gmp And Fda Standard. Audio And Visual Indication On Metal Detection. Product Effect Compensation. Different Models Are Available According To Application. Model–Amd (all Metal Detection)-–Detects Ferrous, Non-Ferrous And Stainless Steel. Model-Fmd (ferrous Metal Detection)—Detects Ferrous Metal In Metallised (aluminium) Film Packaging. Model-Famd-Combination Of Above Two (amd+fmd) Models. Automatic Balancing. Dual Channel Operations. Pneumatic Flap, Air Jet, Diverter Arm, Belt Retracting, Belt Stop Types Of Reject Mechanism As Per Applications. Moc- Ss And Ms Available. Ip65 Control Panels Are Available. Comprehensive Manual With Validated Test Calibration Kits With Certificates For Validation Test. Applications : Ideal For Food Processing, Dairy, Packaging Industries, Sea Food, Spices, Dry- Fruits, Meat Processing, Chemical, Rubber, Garments, Home Furnishing, Pharmaceuticals, Paper Industries, Grains, Plastic Industries, Confectionary Etc.